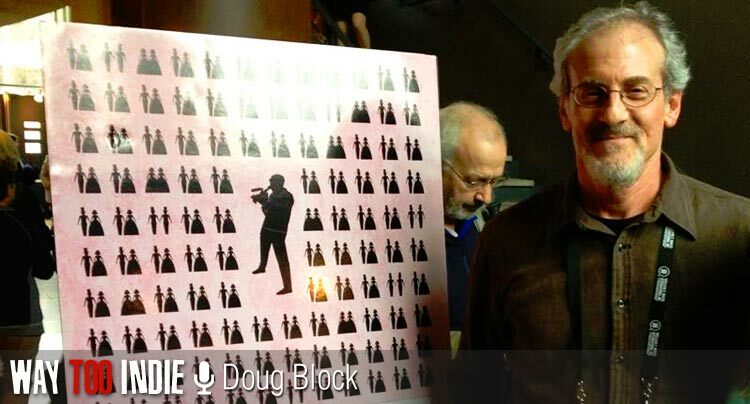 Doug Block isn’t afraid to be open with his audiences. In 2005, Block made 51 Birch Street, a documentary about his parents’ complicated marriage. Years later he followed up with The Kids Grow Up, a documentary about his daughter moving off to college. Now, after making two films about his own family, Block turns the camera around to his own line of work. 112 Weddings is Doug Block’s look back on 9 couples he worked for over the last 20 years as a wedding videographer. Now, years later, Block has come back to interview them and see how they’re doing. Block uses the sober testimonies of his past clients, along with profiling an engaged couple about to get married, to explore the way marriage changes people over time. HBO will air 112 Weddings on June 16th in the US, but Canadians are lucky enough to see the film in theatres when it opens on May 23. We talked to Doug Block about his film during Hot Docs earlier this year, be sure to check out our review and read the full interview below. Can you get into the origin of this idea? When did you know you had a good concept for a documentary feature? I knew it from the first wedding. I couldn’t believe they were paying me to do [wedding videos]. The prime concern of any documentary filmmaker is always access, and I was getting extraordinary access. Seeing an ordinary couple in one of the biggest days of their lives is fascinating, but to be paid well for doing it is like going to heaven. I was really taken with the weddings, and I was naturally curious about [their future]. I always thought it would make an interesting movie to come back years later and start asking them very nosy questions about their marriage. What do you find different about going from autobiographical films to focusing on other people’s stories? For quite a while I toyed with the notion of bringing my own marriage into it, but I just decided that I’d been there with the last two films. I thought “Do I really want to drag my wife into this?” She was perfectly happy to not be in it. The film works perfectly fine on its own. What draws you to doing these intimate stories? They just seem to fit a style I’m used to. I never deliberately said I’m going to make personal or autobiographical documentaries. I certainly didn’t plan on that, it just kind of evolved on my second film. There’s a certain intimacy and candor you get as a one person crew that really works [for me], and it sort of dictates the style. It’s not about getting the most beautiful images. The biggest benefit is that you can just shoot without fundraising. I get an idea for a film and I go do it. You know there will be some level of evasiveness or deception from the couples you’re interviewing. Are you trying to break through that, or thinking of ways to make them open up to you? With this kind of interview, particularly when the couples are framed in a two-shot, you can see their body language and facial expressions as the other’s talking. You get a kind of feel for their dynamic as a couple. What they don’t say is probably more revealing than what they say. Their reactions to each other was kind of my secret weapon, and I hate to phrase it that way because it sounds much more aggressive than I mean it to. I was surprised at the level of candor. I try and create an atmosphere for the couples. Everything is for their comfort, to relax them and make it seem like it’s no big deal. Because my voice can be in the interview it can be much more conversational. Our dynamic, our back and forth is very much a part of it. I think it’s important to establish the fact that we had this kind of quick, surprisingly intense relationship for a very short period of time on a very important day of their lives. Do you think your intense, brief relationship with the couples on their wedding day is why they were so open with you years later? I think so. I think it was partly that and partly that they trusted me. I worked really hard in the editing to honour that trust. So it didn’t take long to get everyone to agree? I used the first 9 I asked. I came to realize that if I sat any of the couples down I could have had a really interesting story. I think if you dig down under every couple they’re bringing an epic story of their families into it. Each partner brings this long family history to the partnership. There are multitudes of stories within any marriage, it just depends on where you put your focus. I tried to put the focus on different aspects, in some cases how they met, how their parents reacted, or what children did to the equation. Before you went out and started filming, did you have any set ideas or goals in mind about what you wanted to learn from the experience? I tend to think in terms of what audiences will get out of it more than what I’ll get. I went into [this film] wanting to explore a subject like marriage. I figured if I had enough couples and a diversity of experiences it could create this mosaic-like view of marriage. I’m sort of captive to the specific experiences of these couples, so once I got the first couples I went for other couples that would make good contrasts. I ruled out certain couples because I thought they were too similar to another couple and their story. How did you meet Heather and Sam, the couple about to get married? I met them by accident. It occurred to me early on to get a new couple, because it would be important to see this perspective. I actually met them at a screening of a friend’s documentary. 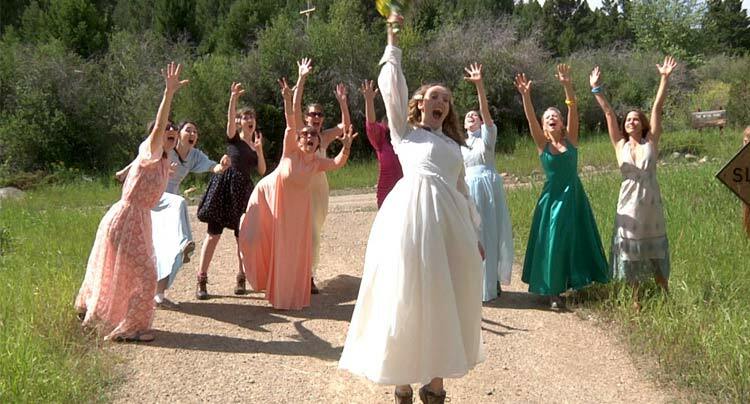 We learned Heather was getting married, I said “I’m doing this film,” and Heather’s friends quickly volunteered her. I love all the couples in the film, but they’re amazing. Some of the things they have to say about marriage were so thoughtful in a way that only unmarried couples are. I think once you’re married and in the thick of it you stop talking about marriage and start living it, but they were really eager to talk. Their wedding was beautiful. To me, it was one of the greatest weddings I ever shot. I’m just stunned at what you get when you pick the right people. I think when you’re on the right track with an idea the documentary gods start smiling on you. Throughout the film you like to show how time is the biggest factor when it comes to marriage. Time has always been really important in all of my films. I love cutting back and forth through time, but I think you have to be judicious in how you use it so it doesn’t feel like a gimmick. I was looking at relationships over time, and [the film] went in some surprising directions during editing. It was kind of a surprise to look at marriage as an institution. I didn’t even realize I asked so many questions related to that, like the idea of what changes when you sign on the dotted line. I started to realize in editing that every single one of these issues would be the same if they were living together. It has nothing to do with marriage, it just has to do with time together. Be there long enough together and life is gonna happen, and there are bound to be tests. Parents are going to be ill, they’ll die, you’ll have kids, hopefully they’re healthy, maybe they’re not, but either way it’s testing your relationship. So what is different about being married? That was really interesting to explore. The whole notion of how, in the last 100 or 200 years at most, humans married out of this thing called love. It was always for security, economics, legal protection…Love had nothing to do with it, and that alone was interesting. Love is a hard thing to keep alive for a long period of time. Your film seems to be resonating with people a lot. What have you noticed from audiences as you start to show the film? It’s just an intriguing concept, so I’m not surprised. I thought it would be an audience pleaser because I thought the humour would translate. I’m thrilled it’s coming out theatrically in Canada. I think it’s a good date movie [Laughs]. It sounds cheesy, but I think it’s a really good movie for couples to see together. What about the couples in your film? Have you shown it to them? We showed it to as many of them as we could at one time. We had a little mini screening at HBO. It was nerve-wracking, but they really loved it and I was so relieved and thrilled. 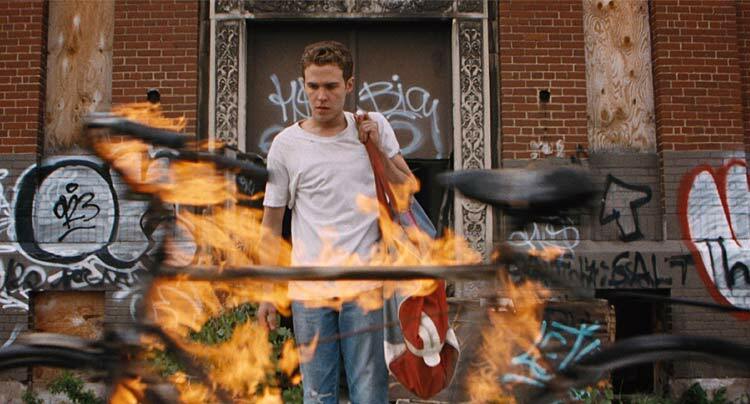 You never know how people will react, but they felt it was truthful and well-intentioned. Have you thought about profiling more weddings? I don’t know. I could go back. It would make a great ongoing series, which is something I’ve certainly considered and it may well happen, but I think there’s a big difference for me. I think a big reason why this films works the way it does is because of my relationship with the couples. It’s part of the dynamic. It gives the audience a short little window into [the marriages], but with the careful editing we did each one has a little dramatic arc to it. It feels like a complete, satisfying story. The trick was how to weave them all together so it wasn’t like one wedding to the next. You bring couples back, you bring up certain ideas to couples and they come and weigh in and then bring it all together at the end. The weaving together of these stories was the hard work.